Now, with our last titles released, let’s take a look at what we have learned. The Legends stories have sometimes been criticized for what has been called “small galaxy syndrome,” as many of the stories follow a narrow group of characters. While they have adventures all over the galaxy, it makes the storytelling galaxy rather small. The recent efforts of the Lucasfilm story group have changed that around completely, which can be felt to a large extent in these “Journey to…” titles. Of the eleven story titles, only four feature Luke, Leia, or Han, and three of those are during the events of the original trilogy. Take Chuck Wendig’s Aftermath for example: this story focuses on a mission Wedge Antilles takes to the planet Akiva and is captured by local Imperials. However, Aftermath also contains 15 “interludes” that show us a small glimpse of what is happening on several different locations. In The Clone Wars animated series, we visited many different planets around the galaxy, but everything was held together with a common story element. These interludes cover a wide range from the political elite to the seedy underbelly of the galaxy. Both Moving Target and The Weapon of a Jedi have Leia and Luke respectively jumping all over the galaxy on various separate missions. Also note that in none of these stories do Luke, Leia, and Han actually work together. The destruction of the Death Star II over the moon of Endor was the biggest victory for the rebel alliance, but it was not the immediate end of the Empire. As we saw from Greg Rucka’s comic series Shattered Empire, the fight to oust the Empire was just beginning. Emperor Palpatine’s death set in motion a set of plans which were to result in wide-spread destruction across the galaxy. By using mechanical messengers, he was able to promote the idea that he was still alive, and he gave targets to various Imperial Commanders for them to destroy. Chuck Wendig’s Aftermath contained several interludes that gave us a picture of the galaxy just months after the Battle of Endor. We know that Mon Mothma, Chancellor of the Rebel Alliance, has been elected Chancellor of the New Republic senate which was established on her home planet of Chandrila. At the same time, we find that the Empire still controls various parts of the Galaxy, and they continue to hunt down rebel sympathizers. It seems that the Empire is very fractured, and various factions of the military struggle to maintain control of their local systems in the wake of Palpatine’s death. Some of Landry Quinn Walker’s recently released short stories also dive into the world of the pirates and slavers, who seem to have carved themselves a little niche in the galaxy. One thing we know for sure, the Empire was expert at the propaganda machine. This started early with the various twists on facts that Palpatine would spin during the prequel films, and it is in full force here. Lost Stars showed the various truths of the galaxy “from a certain point of view” while Shattered Empire revealed some of the outright lies that would be perpetuated to try to maintain control and order within the Imperial ranks. In Aftermath, the imperial council even considered propagating that the Emperor was still in control of the Empire in order for them to more easily maintain control. In Smugglers Run, we find that the destruction of the first Death Star was not a widely known fact in the Empire. As we saw in other stories, the construction of the Death Star was a secret only known to a select few working on the project. Even a senior commander in the Imperial Security Bureau was not aware of what happened. It seems only those connected to the project were aware. The “Journey to…” stories have steered away from any clear facts about where Luke, Han, and Leia are after the Battle of Endor. We only got some glimpses of Han and Leia, and virtually nothing of Luke after his appearance in Shattered Empire. However, some names that are known from Episode VI: Return of the Jedi, are becoming more and more common in the new canon. Nien Numb has had several appearances recently. Only originally known as Lando’s copilot in the Battle of Endor, his service with the rebel alliance stretches back to just after the Battle of Yavin. He played a large role in Castellucci’s Moving Target, showing that he is a strong and resourceful pilot and of great value to the Alliance. He is also seen piloting Lando in Shattered Empire. Admiral Ackbar has played a major role in the Rebel Alliance throughout the original trilogy era. Even though his only appearance was in Episode VI: Return of the Jedi, he has come up as an Admiral on several occasions in recent canon literature. We see him leading the fleet in Moving Target, Aftermath, and Shattered Empire. His strength in military operations and strategy is highly valued, and I believe we have not seen the last of him. Right? Probably the biggest question of all surrounding the promo material for Episode VII: The Force Awakens is where is Luke? There has been no mention of him after his appearance in Shattered Empire, which takes place only weeks after the Battle of Endor, but what we do know is that Luke’s focus has not really been the rebel alliance, at least not completely. Moving forward, we see his appearance in Shattered Empire where he takes a Rebel Pilot on a mission to go rescue the remains of a tree that was at the heart of the Jedi Temple on Coruscant (this calls back to the final Clone Wars episodes of Season 6). This mission does not seem to be official Alliance business, but his own personal quest. Both of these story threads likely inform what path Luke was on after the Battle of Endor, but until the film comes out, we will not know exactly if he fulfilled his personal mission, if something went wrong, etc. The possibilities are quite endless. Recently, five new short stories have been released under this “Journey to…” banner. Each one of them is providing us a little nugget, just a smidge of a backstory on a character, presumably found in the new film. These five short stories are as close as we get to Episode VII: The Force Awakens prior to the film. All are worth a read, but don’t expect to find too many hidden gems in them. I predict that these stories will be worth a second read after seeing the film to fully appreciate them. In fact, it will be worth re-examining all the “Journey to the Force Awakens” titles after the film is released, if not just to see how much information was actually right there for us and we just didn’t know. I am overjoyed for the opportunity to be part of the Coffee With Kenobi family. This is just the first of hopefully many #starwarscanon posts. Let me know your thoughts by posting in the comments below. You can also drop me a line on Twitter @starwarstce. 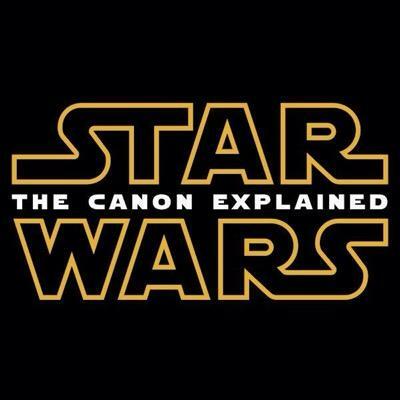 You can find our coverage of #starwarscanon stories at our YouTube channel Star Wars: The Canon Explained. Feel free to drop me an email at jason@starwarstce.com.